Whether your business is big or small, the chances are that it has a website. 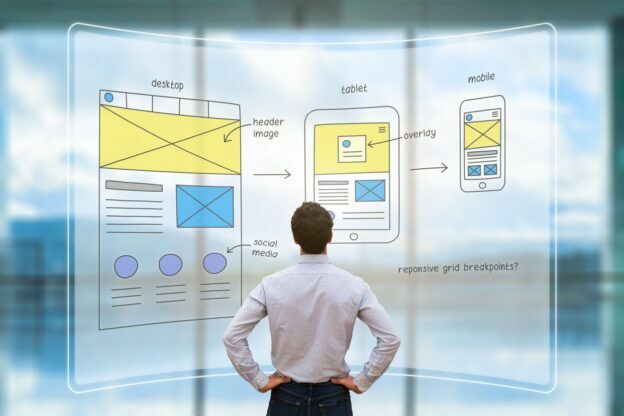 In today’s market the importance of websites is only becoming more and more important especially those with an E-Commerce element where in most cases the website is the actual lifeblood of the business.Your online presence will be of utmost importance for the development of your business. Now that we have made it clear that having an efficiently developed website is of utmost importance, how do you go about getting one? Unless you’re a coding expert or wish to create a generic ready built site then you are going to have to reach out for some professional help in web development to build a website which has responsive design and mobile responsive design. Now with this there is good and bad news, good news is that there are many web development agencies throughout the country especially in Dublin which is full of Dublin Web Agencies so this means you have a vast amount of options to choose from. The bad news however is that all these web agencies were made not made equal whether it’s a Dublin web agency or any other Irish Web agency. Therefore it is imperative that you choose the right one as this choice will be the difference between having a great website or business crippling bad one. 2Cubed Web Design Wexford & Dublin pride ourselves on being a leading example of what a web development agency should be. 2Cubed specialise in delivering functional websites that exceed clients’ expectations and performance. Our web development offices are based in Wexford and Dublin. We strive to use the very best industry practices provided by our in house web designers. We believe that it’s ‘Your Web Strategy’ and we are here to deliver and guide you to achieving the very best website possible. All our web designs are created specifically for each customer, ensuring you get a beautiful user-friendly tailor-made website that fits your brand and identity. 2Cubed design and develop websites across all industries and sectors, including eCommerce websites, multilingual websites, as well as projects which include custom functionality and specific database and software integration. 2Cubed specialises in Website Development, Web Design, App Development, eCommerce Website Design, Website Marketing and Content Management (CMS). We can work with a variety of Content Management Systems (CMS) such as WordPress and Magento, and can give your existing website a re-design making it responsive and moving it into the 21st century. Our web content writing expert, provides unique website content. We build beautiful bespoke customer-friendly websites. We provide web development and web design to the highest standard, as well as native iPhone and Android Applications. We build digital solutions for web and apps. We are the problem solvers in the digital world. Our websites are measured on performance and built for scale and longevity. As well as web design and app development, 2Cubed offers a range of other services including digital marketing, content writing, SEO, Graphic Design, Brand Identity, Google Apps set-up, and Google Adwords management. Our creative web designers are ready to design, code & market your project and also award winning IIA Net Visionary Web Developer Excellence. In 2016 we were finalists as IIA Net Visionary Web Design Company of the Year. We provide websites nationally designed by our highly skilled web design team. We are a team of ten web design professionals that are dedicated to giving the best web design service in Ireland. Planning and knowledge is key when it comes to web design and web development. By consulting a professional Web Designer like 2Cubed you can be assured that your website will be a success. To take the first step of having that website of your dreams please get in touch with 2Cubed today.